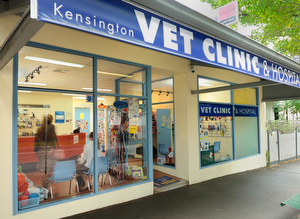 Kensington Veterinary Clinic has been owned by Dr Kathy Daly for the last 10 years. Kathy, Dr Jane Gibb, Dr Eleanor Street, Dr Wendy Ng and our friendly nurses aim to provide caring, high quality veterinary care for the four legged or two winged members of your family. We are a small practice and we provide all of the facilities of many of the larger hospitals, as well as personalised and professional care. 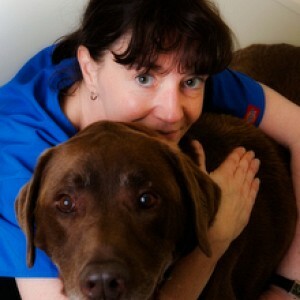 We strive to provide quality care for your pet that you can be assured of and we treat your pet as if it were our own. 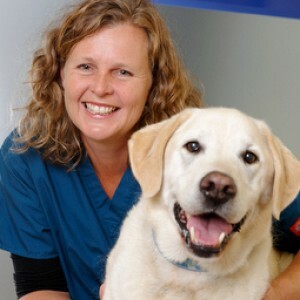 Dr Kathy Daly (BSc Hons, BVSc (Hons), MVS) graduated from Queensland University in 1993 with honours and subsequently completed a Masters degree in Small Animal Medicine and Surgery. She has just finished studying acupuncture and is now an accredited animal acupuncturist. Kathy has previously had her own veterinary talk show on 3AW radio and is actively involved with the Bali Street Dog Fund. She works to feed and spoil her growing family of cats. 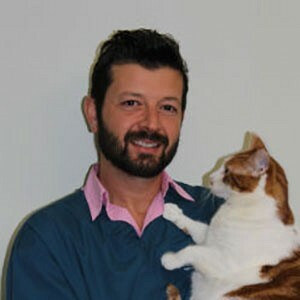 Peter is currently working as a veterinary locum throughout Melbourne. 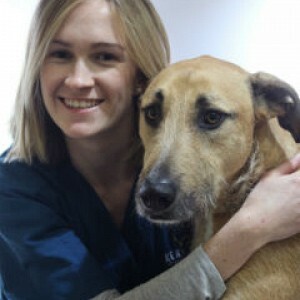 He has 10 years experience in both small animal medicine and surgery. Peter works to support his 2 lovely cats, Chad and Elliot; as well as his naughty puppy Ellie and 2 very spoilt peacocks. Lucy graduated from Melbourne University in 2011 and has spent the last 4 years in small animal practice in country New South Wales and Eastern Melbourne. 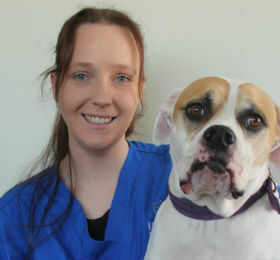 Lucy has a keen interest small animal practice especially in medicine and diagnostic imaging. 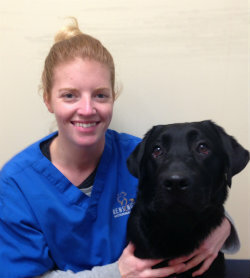 Nicole joined Kensington Vet Clinic in April 2014 and is loving every minute of her job. After living and travelling overseas for 2 years , Nicloe returned to Australia with a renewed passion for working in animal care. She is currently studying her Certificate IV of Veterinary Nursing. She is kept busy at home with her lovely labrador Brodie and 3 fish. Welcome Stephanie who joined us in August 2013. 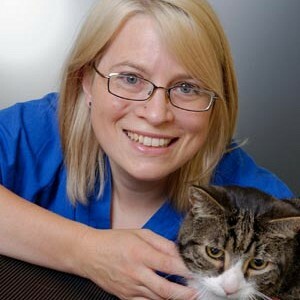 Stephanie is a qualified vet nurse with extensive experience in small animal practice including specialist and emergency centre work. 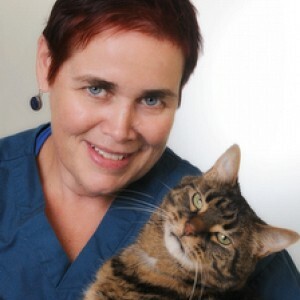 Her particular interest is working with pet owners to provide comprehensive health care for their pets. She has recently moved to Melbourne from Queensland and loves the city, in particular the coffee shops! Stephanie will begin studying to become a paramedic next year but will continue working at KVC while finishing her studies. She has a cat, Jasper, two cockatiels, Dimitri and Kirrin and fish Fan and Tastic at home. In her free time Stephanie enjoys catching up with family and friends, netball, martial arts and reading. Alex moved to Melbourne from Perth in 2009 to further pursue her nursing career after several years working in the equine industry and has worked at the clinic since March 2010. She has a particular interest in internal medicine as well a behaviour, and works to support her 3 cats Lily, Pudding and Ivy: along with her passion for horse riding and roller derby. Lynne joined KVC in 2010. 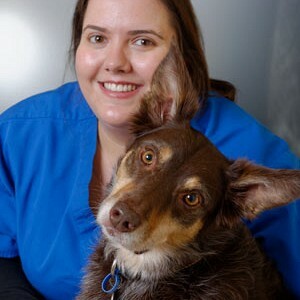 She is a qualified veterinary nurse with extensive experience, including several years working both in the emergency clinic and as a surgical nurse at Melbourne University veterinary clinic. Apart from her surgery and emergency interests Lynne loves chatting to clients and meeting our patients, although she does admit she is biased towards Labradors! In her free time Lynne enjoys gardening with her chocolate Labrador Finbar and cat Portia. Eliza fell into vet nursing quite recently and is loving every minute of it. She first came into KVC looking for a cat collar, but instead left with three kittens. One thing led to another and she now works at the clinic part-time, having been part of the team since mid-2008. Eliza is a qualified zoologist and hopes one day to combine her work at the clinic with her passion for zoo-keeping. She still has three cats.